Peshawar, University of Peshawarhas announced the UoP MA/MSc exams forms 2019 submission schedule. 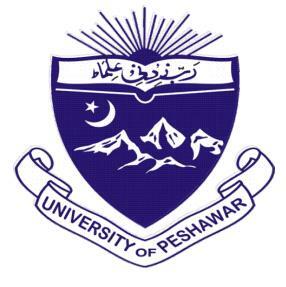 The admission forms are provided on the website of the Peshawar University and the regular, late college, late university, distant education students and the private students are asked to submit their admission forms for the UPesh MA/MSc annual exams 2019. The candidates will send their admission forms with the normal fee till 15-3-2019 and they will also send the application forms with the late fee till 29-3-2019. The candidates can have another chance to forward their admission forms with the double fee by the closing date of 15-4-2019 to appear in UoP Master annual exams 2019. The students will forward their admission forms with the deposit of the triple fee by 30-4-2019. The students will read the rate of the admission fee and other charges.